Say goodbye to blue bags in the landfill bin! Now all trash will be collected in black bags and recycling will continue to be collected in clear bags. 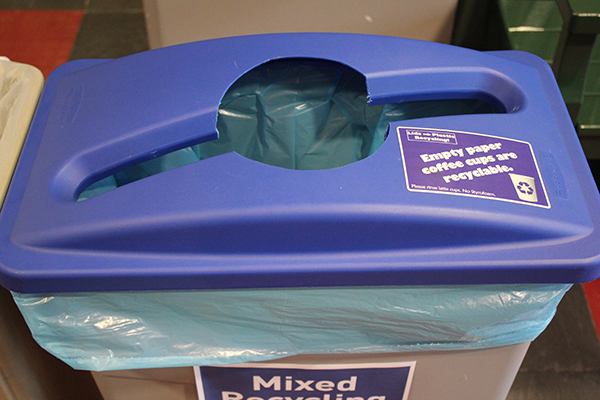 Please note that the blue UFO-shaped recycling lids will remain on the recycling bins. 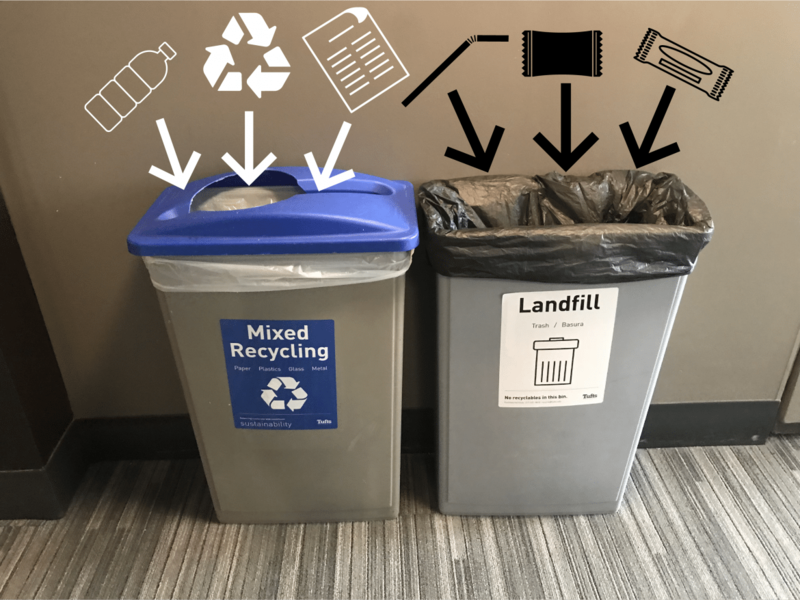 If you see a recycling bin without a lid, please submit a work order to Facilities Services so the lid can be replaced as soon as possible.